Only $25 - Fifty Games for only $.50 per game! Available for purchase from Apr. 15 to May 15, 2019 only! 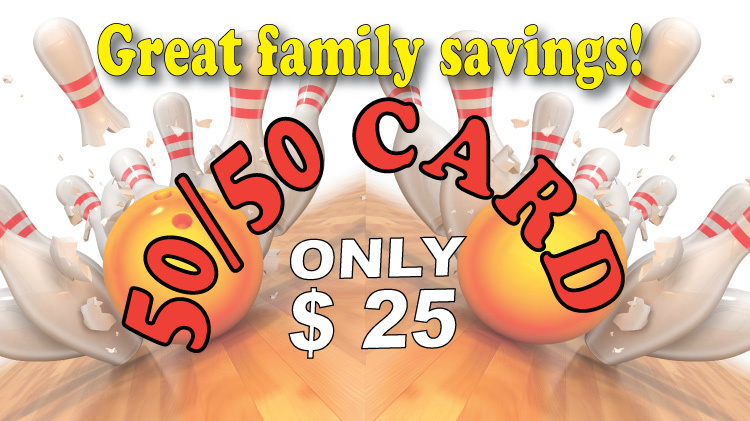 Card is valid May 1 through Aug. 31, 2019 at The Lanes Fort Meade! Completed cards are entered into a drawing for a free two-ball tote. Winner will be drawn on Sep. 5, 2019!